It is a state of a lesson on the second floor of the main building. 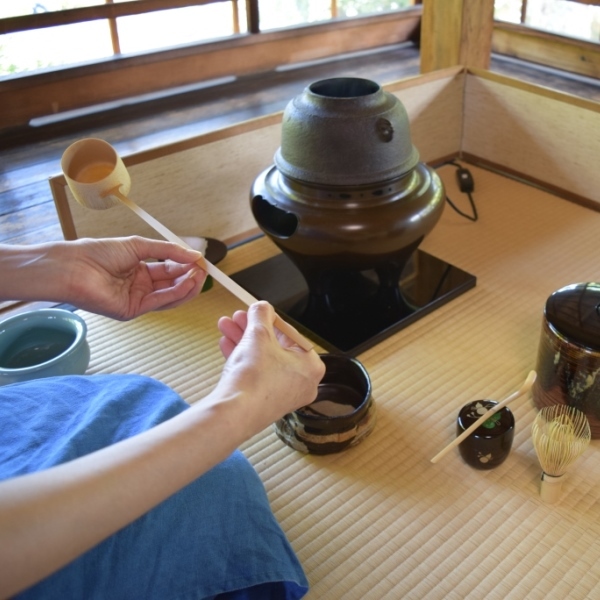 The elegance is felt in the hand that take off the hot water with a ladle from a tea kettle. 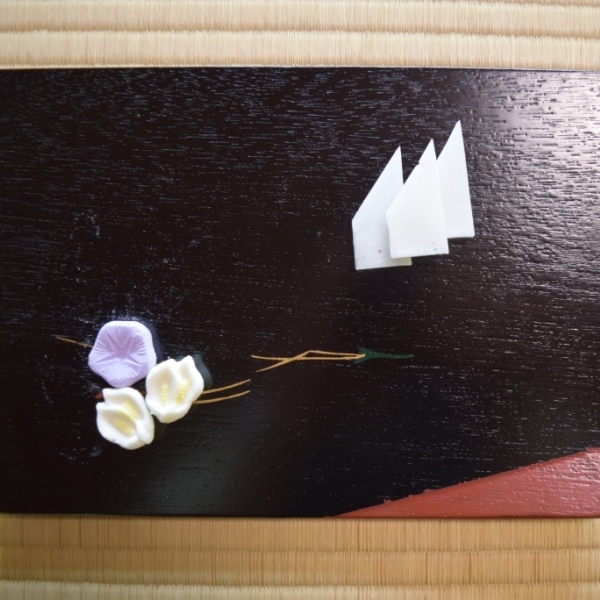 As a story of a ladle from Ogihara teacher, “A special ladle used in Shinto donation at Izumo Taisha’s festival (Tsumamugi) is made from half cutting gourd and hemp. ” “The hollowing gourds are believed to have a spiritual strength since ancient times.” Thank you for us to talking short story of each tool. Participants said that if they concentrate too much on the movement of hands it would be difficult to make a flowing movement. 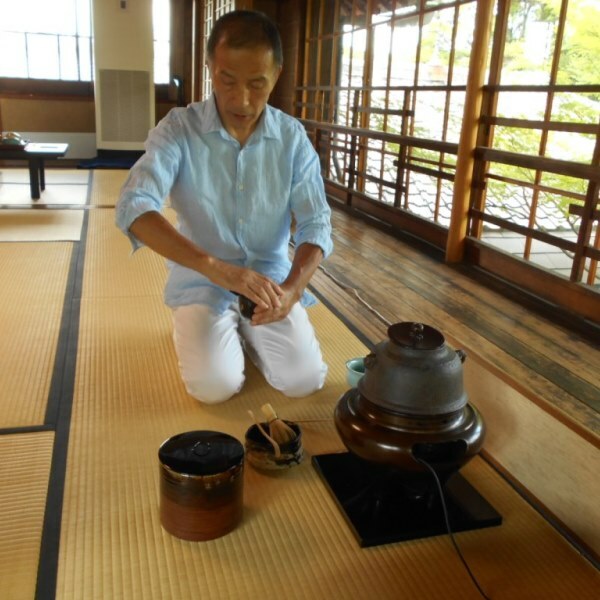 The Murinan Tea ceremony is held every Saturday. Come around when you visit Murinan, luckily there is no reservation required!